My eldest sister always says to me why I never post any of my easy, simple recipes. When I tell her I am having a chicken salade or a prawn salade for lunch or dinner, she is like why you don't post them they are so delicious ( Hans showed her how to make them when he was once in her place and they love it now ) and I always tell her actually these things are so easy that it is bit silly to post in my blog. To which she replies it is not because you think it is easy to make that everybody think it is easy to make. 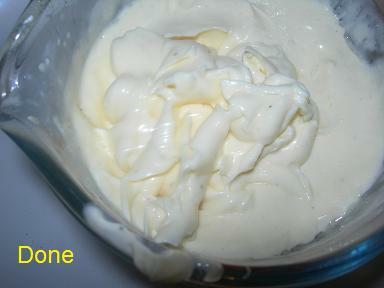 Like this Garlic Mayonnaise, it is so easy that you can make in a flash. Just have to make Home made mayonnaise which take less that 5 minutes to make, and if you don't like to use to make mayonaise at home as it use raw eggs, you can always use shop bought mayo for making this. I use this mayo for spreading in pita breads with meat or chicken filling, and especciall make these garlic mayonaise when I do Fondue Bouguigninne at home. 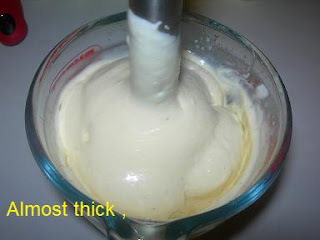 You can double the recipe if you like, depends on for what you use them and for how many people you are making for. 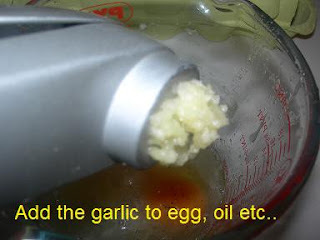 Add the mayonaise in a bowl, then add the garlic puree , I use a garlic press so that it is very fine, you can grate the garlic fine or chop it very fine or make into a paste. 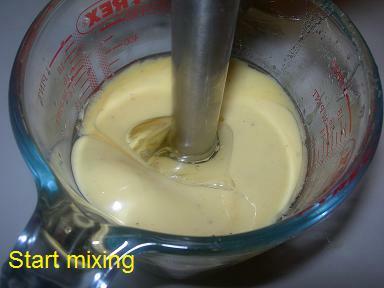 Mix everything well and keep in the fridge. The flavours are much better if you make this mayonaise if you make it few hours befroe you use it. Now did I say that it is such a easy thing to make. 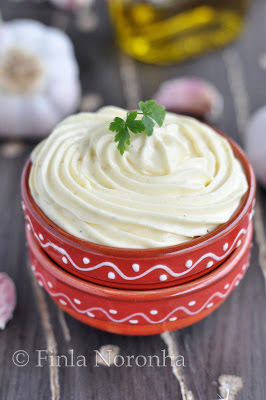 I dont mind relishing my grilled meats with this flavourful mayonnaise. Love the flavor of garlic in mayonaise. Cute bowls. Quick and easy. I like it with garlic. It's not silly to post simpler recipes. They make more sense for the value they bring to our repertoire, making life easier. 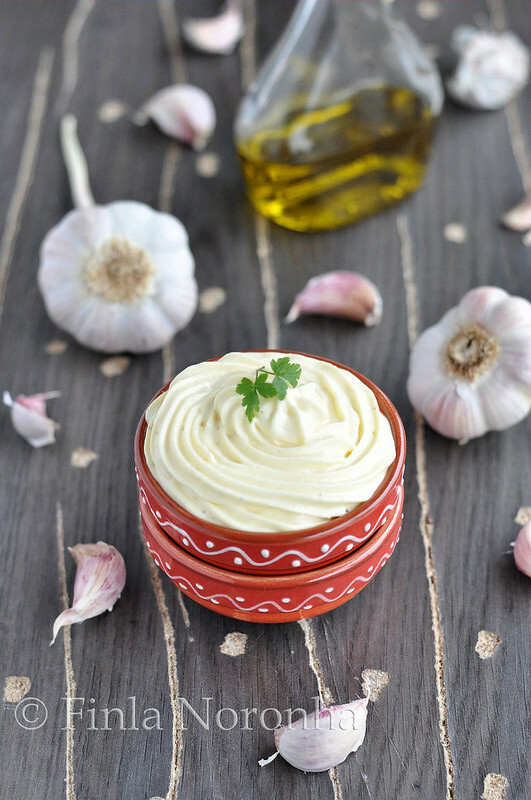 Stunning photographs:) The garlic mayonnaise recipe sounds really good. I shall have to try making this. Thanks for sharing Finla - it looks delicious. Same request as your sis. please post some easy salad and soup recipes will you ? Bong Mom will try to do, mostly all these easy things are made and then gobbled up even before i get a chance to take pictures. But will plan and then take pics and post the recipes. I just had a sandwich the other day that had garlic mayo on it and it was so delicious. Thank you for sharing this!